I assume that for most of my readers, Yaldah Magazine needs no introduction. This wonderfully unique magazine is written for Jewish Girls, by Jewish girls. Each issue is packed with fiction stories, tips and advice, crafts, recipes, interviews with inspiring role models, true stories, contests, Jewish holiday fun, and more — all brainstormed, written, illustrated, photographed, and edited by Jewish girls! A one year subscription includes 10 issues, which get delivered every month from September to June. For the adolescent or teenager girl, Yaldah Magazine makes a wonderful gift. As a once aspiring journalist, I wish Yaldah had been around when I was a girl – I would have loved to write for them. I know that at least one of my reader’s daughters writes for them today! If you would like to enjoy a free subscription to Yaldah Magazine – either for your daughter, or to give as a gift to a special young lady in your life, I’ve got great news! Today, you can enter to win one of three annual subscriptions (retail value: $36). Your subscription will start in September, just in time for Rosh Hashana and back-to-school. #1. Required entry – Leave a comment on this post with the name of your favorite magazine – either today or when you were a teenager. #2. 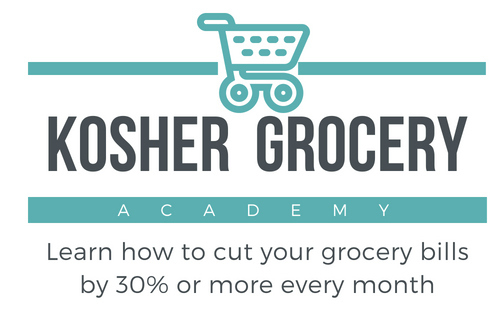 Optional entry – Subscribe to Kosher on a Budget’s email newsletter – leave me a *separate* comment letting me know you have done so (or are already a subscriber). Subscriptions must be confirmed. #3. Optional entry – Like Kosher on a Budget on Facebook, then leave me a separate comment letting me know you have done so (or already did). This giveaway will be open until Thursday, June 14 at 11:59 p.m. EST. The winners will be selected randomly and notified on Friday, June 15. Recipients of the magazine subscription must live in the United States. You must be 18 or older to enter this giveaway. Good luck! Disclaimer: Yaldah Magazine will provide the three winners with their one-year subscription. I was not compensated in anyway to host this giveaway. I really don’t have a favorite magazine…but would love to give Yaldah to my grandaughter. I enjoy Binah magazine and I receive your emails. Thank you. I just signed up for your emails! Binah. And I’m sure my daughter would love Yaldah!